Some 158 years ago, on March 30, 1858, Hymen Lipman was granted a patent for his invention of a pencil with a built-in eraser (U.S. Patent # 19,783). Lipman was a stationery entrepreneur. He invented many practical devices that made office work easier and faster — for instance, putting glue on the flap of an envelope. 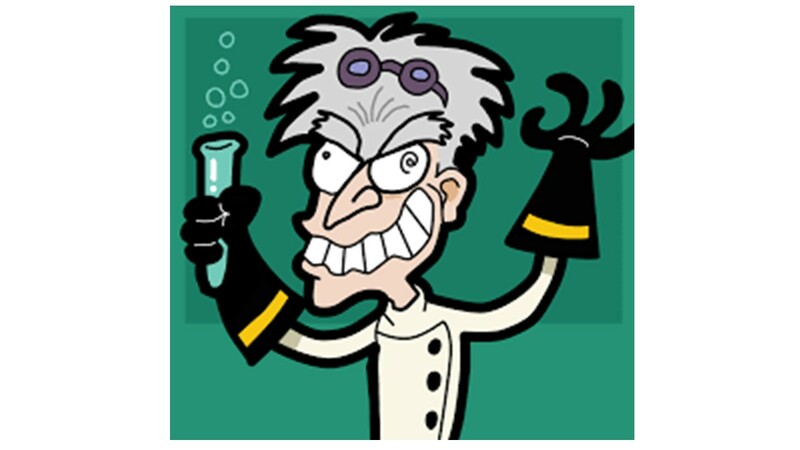 Patents require things that are “novel” and “non-obvious”. Erasers existed. 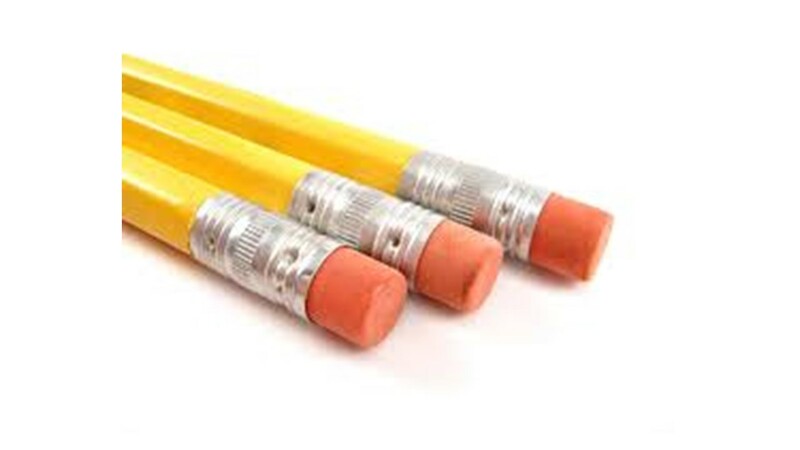 Pencils existed (since 1565, when a Swiss scientist filled a wood cylinder with graphite, found to be better for marking than lead. (Apparently, until the 1770s, pencil marks were erased using balled-up bread!). Isn’t it obvious that pencils need erasers on them? Yes – but only after someone thinks of it and does it. Lipman understood that innovation requires two things: novelty and usefulness. Putting an eraser on a pencil was highly useful. Lipman sold his patent in 1862 for the enormous sum of $100,000 ($2 million in today’s money) to Joseph Reckendorfer, in 1862. Soon, the patent was infringed by A.W. Faber, the pencil company, and Rekendorfer sued. The U.S. Supreme Court said, no infringement! The eraser pencil was nothing new. All Lipman had done is combine an eraser (X) with a pencil (Y), two known technologies. The court got it totally wrong. A great many inventions involve combining in unique ways, existing things. X + Y is a known, proven formula for innovation. Take for instance one of my former students Do Hyun Kim, a Korean engineer with LG, who in 1985 combined a VCR with a TV, in a single box, called it Viewmax – and it became a huge hit. Was this an innovation? Of course. Take two existing things. Combine them in a unique way. You have an innovation, if it is useful for lots of people. X + Y is innovative, even if the Supreme Court doesn’t think so. Putting WiFi Internet connections into appliances — innovation? Internet of Things? of course. Source: Haaretz daily, March 30, p. 4. In Hebrew slang, “kuku” means “ponytail” – a hairdo where a girl’s hair is gathered and tied with an elastic knotting device, often just an elastic band. Tamar, a 15-year-old, had a problem. She had a bike riding accident and was unable to use her right hand as a result, while doing physiotherapy. Alin Hospital in Jerusalem, which specializes in children’s injuries, recently held a “Mike-a-thon Open Source” event, to gather ideas to help children in the rehab program in the hospital. Tamar asked for a solution to her problem: Create a device so that I can tie my ponytail using only one hand, rather than two (normally one hand gathers the hair, the other hand slips the elastic over it). 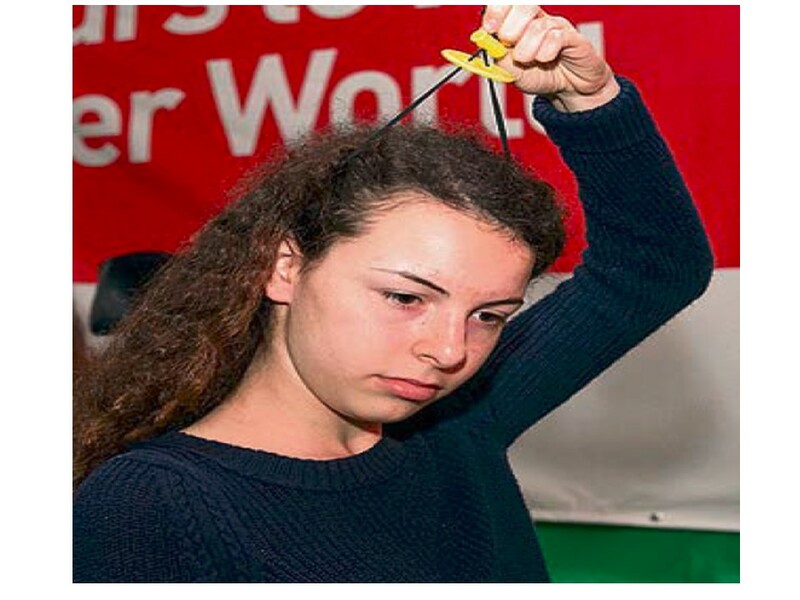 An Israel Aerospace Industries engineer, specialist in composite materials (used for aircraft wings), named Ilan Sherman came up with a solution for Tamar: an elastic with a small one-way mechanism that can only tighten, but not loosen, so that Tamar can create her ponytail with only one hand. Soon Tamar will have the use of both hands. But perhaps there are other young ladies who want to one-handed ponytails? Thanks Ilan! Sometimes we need small ideas, not just huge world-changing ones…. As a professor, I’ve become keenly aware how poor we profs are at communicating our ideas to others, in understandable clear and actionable ways. I think we economists find meaning in life by confusing the most people we can. Now an expert comes along and explains why. Tim Ward’s blog was published in Society for Conservation Biology News and a relative in NYC passed it on to me. Assuming the facts will speak for themselves: they don’t. You must advocate for the facts. Communicating for influence is a matter of survival of the fittest. It’s not enough to deliver your information. You are competing with other voices. Use memorable quotes and messages to make your facts stick. 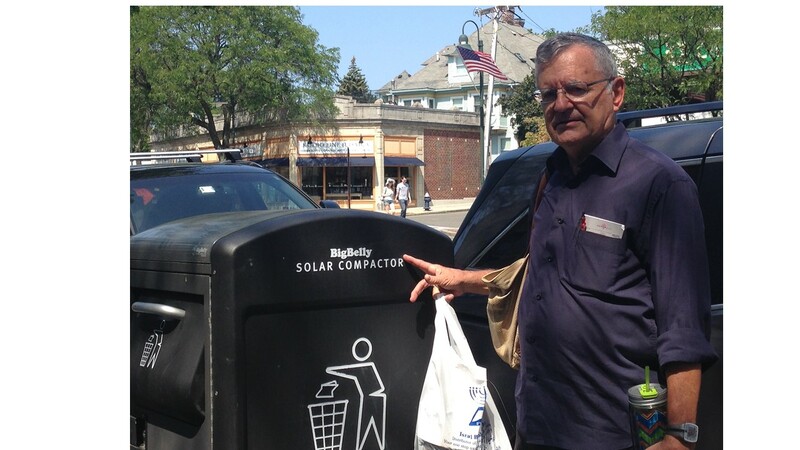 In downtown Brookline, part of Boston, MA., I saw a Big Belly solar powered trash compactor. (See photo). I teach this business case, about MBA student James Poss who won a business-plan contest and used the money in part to help launch this business. The Big Belly saves 3 out of 4 garbage truck trips, helps the environment, is very esthetic, and is simply cool. And it’s got a cell phone – it calls the garbage truck to “come empty me” when it’s full! Poss thought he would sell them to ski resorts. None bought them – but the City of Boston did. Lesson: Get your product out into the market, as fast as you can, and people will tell you how they want to use it, and WHO wants to use it, and you will often be very very surprised. Until you get your product into the market, you will not have a clue about its true value-creating power. Remember: make your product an MVP – minimum viable product, and then launch it. If you wait for perfection, you will almost always be too late. “I thought what could be less high-tech than a trash can,” he remembers. When he met with company managers, however, they broke the news that they were transitioning to expand their connected software offering and provide Wi-Fi and other hi-tech services. “My first thought was, what are you doing to my course?” laughs Weiss. “My second thought was, what are you doing to your company?” Selling hardware to budget-crunched cities can difficult. Bigbelly’s early pitch was that by providing trash compacting in the units (solar powered to boot), additional waste storage would help keep streets cleaner. Another plus: sensors in the units report when the cans are full, enabling cities to optimize pickup routes and save money. Even with initial growth, however, the company wondered why it wasn’t selling even more trash products to more customers. A better strategy is selling cities on something citizens need. In Bigbelly’s case, the company aims to leverage the power and connectivity already embedded in the waste stations for a public increasingly hungry for data. Not only are Wi-Fi hotspots in demand by those who can’t afford Internet access, but connectivity is also increasingly desired by smartphone users who want to cut data costs while streaming high-bandwidth content. “I’ve been surprised at how popular it still is, both to bridge the digital divide and for people who like having access to Wi-Fi instead of using their cellular data,” says Weiss. Solar trash compactor, as a Wi-Fi hotpot? Now, THAT’s creativity. Go, Big Belly! Look… the American people have the right to choose whichever Republican candidate they wish for President. They have every right to shout their disaffection with the incompetent, squabbling politicians in Washington who have led American astray, on both sides of the aisle. They have every right to choose Trump. But what truly disturbs and angers me, is Trump’s lie. He says that as a successful billionaire businessman, he can run America better than someone who worked as a community organizer in Chicago. Donald Trump’s gambles don’t always go as planned. Especially when that gamble is gambling itself. In February 2009, Trump Entertainment Resorts Inc. filed for Chapter 11 bankruptcy protection for the third time in a row — an extremely rare feat in American business. 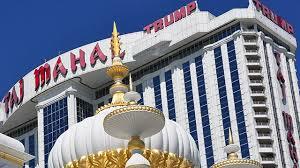 The casino company, founded in the 1980s, runs the Taj Mahal, the Trump Plaza and the Trump Marina. All three casinos are located in Atlantic City, N.J., where the gambling industry has faced a decline in tourists who prefer gambling in Pennsylvania and Connecticut instead. Trump defended himself by distancing himself from the company, though he owned 28% of its stock. “Other than the fact that it has my name on it — which I’m not thrilled about — I have nothing to do with the company,” he said. He resigned from Trump Entertainment soon after that third filing, and in August of that year he, along with an affiliate of Beal Bank Nevada, agreed to buy the company for $100 million. The company reported it emerged from bankruptcy in July 2010. I think what Trump is doing is running for President, to enhance the brand value of his name, which he sells at exorbitant prices to legitimate businesses. So, if you want to help Donald Trump pay for his private jet by ‘branding’ himself, vote for him. If you want someone who really understands business – well, Bloomberg does, parlaying his $10 m. in severance pay into a multi-billion dollar business he created, but he withdrew, precisely because he did not want to pave the way for a Trump presidency. A failed businessman defeats a highly successful one, because people just don’t seem to get it and are happy and willing to be duped. Make America Great again? Dump Trump. Rob Hughes covers soccer (football) for the Global New York Times, and his writing is always insightful and interesting. In his article yesterday (March 2), “Barcelona’s goal? A stronger Liga”, he describes the behavior of those who lead Barcelona’s remarkable football club, one of Europe’s best, perhaps soon to break the Spanish record for most consecutive games without a loss (34, set by Real Madrid in 1989-90). Barca’s ownership structure is unique. It is not owned by a billionaire sheikh, Russian or Asian oligarch, or American billionaire. It is owned by 140,000 “socios” who pay annual fees in order to own a piece of the club. Like most clubs Barca gets most of its revenue from television fees. Until now Barca and Real Madrid have cut television deals separate from the rest of the league, known as La Liga, that gave them huge resources. But starting this summer, the two main Spanish clubs will sacrifice significant financial advantage. In a three-year agreement, Real Madrid and Barca will get 17 per cent of TV revenue, or 160 million euros each annually; the other teams, will receive far more money than they get today. Why in the world would two rich clubs give up revenue just to help the other teams? Josep Maria Bartomeu, Barca’s president, explained: Giving up revenues to other clubs is a short-term pain for long-term gain…an investment. “We have to make La Liga more competitive”, he said. The logic is impeccable. The more competitive La Liga, the more people will watch the games, and the more revenue all clubs will get, including Barca. Is this true capitalism? Is it more enlightened than the distorted short-run capitalism that tries to destroy competitors at all cost?